Though there is no official affiliation between the AACG and the various regional collectors' groups throughout the country, the AACG encourages, supports and cooperates with these groups as part of its outreach program. Each area uses its artistic institutions, schools, museums and galleries. 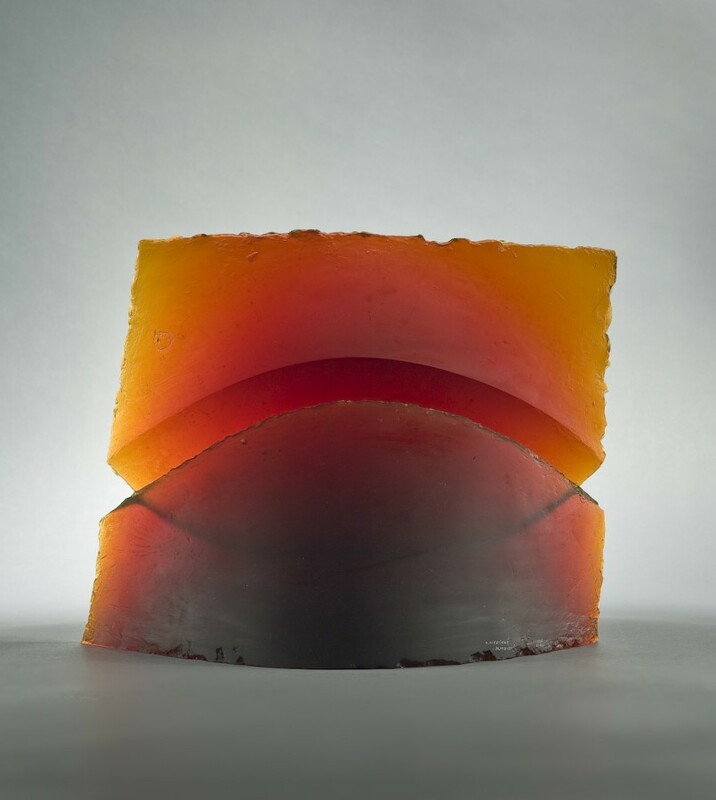 Many of the regional groups arrange trips featuring studio glass, have lectures or small group meetings with local and visiting artists, and have a network of glass collectors. It is a fun way to meet other collectors and share the pleasure of visiting each others' collections. 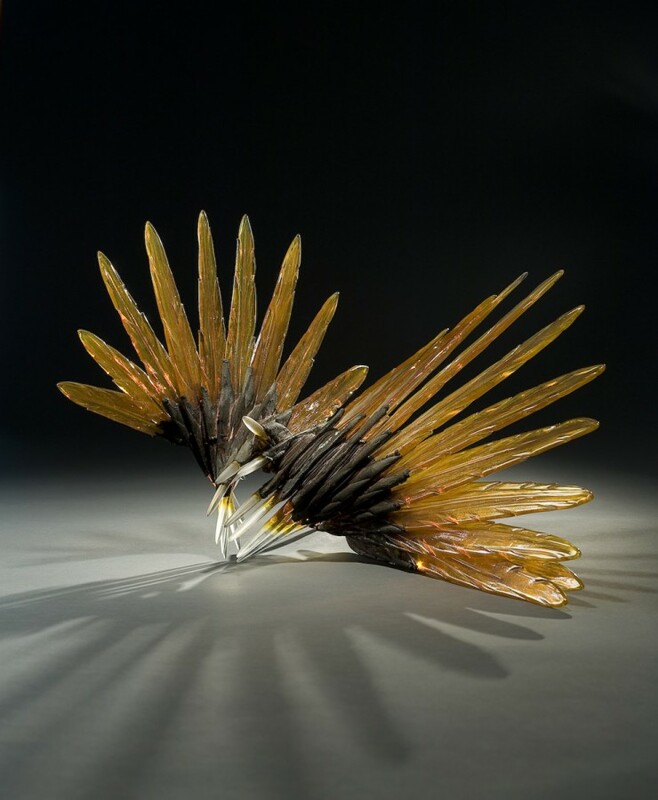 Many of the groups reach out to educate the public, curators, art journals and the local media to further the contemporary glass movement and increase the recognition due this wonderful sculpture made from glass. Some groups provide grants to deserving local artists and art students. Below is the list of currently established regional groups, with brief information about their purposes and activities. Some groups have provided more extensive information, listed on separate pages, with links in the paragraphs below. Arizona Glass Alliance is an active group of collectors, artists and gallery owners who focus on glass-related activities and promote the use of glass in art throughout Arizona. The group sponsors presentations by visiting artists as well as visits to its own member artists’ studios. The group also sponsors gallery receptions and presentations by artists, curators and others in cooperation with local museums and other institutions. Events are generally held October through April. At least one trip per year is planned to exciting glass-related locations, such as the 2017 trip to the San Francisco area in April. Arizona Glass Alliance is a friendly group and happy to welcome visiting glass enthusiasts to events. Dues are $35 per year for singles, and $50 for couples and galleries. For further information see our website at www.azglassalliance.org or contact Sharon Schomer at 480-451-8738 or e-mail fredschomer@cox.net. Glass Alliance of Los Angeles (GALA) encourages active membership of art enthusiasts including collectors, artists, galleries, educators and curators. To promote the field of glass in the contemporary art world, GALA sponsors events throughout the year. Museum and foundation tours, visits to collectors' homes, artist lectures and out-of-town trips are some of the activities the membership enjoys. Most events include either a cocktail reception or a dinner. The group encourages a membership that focuses on learning and collecting rather than promoting their private enterprises. Dues are $75 or $150/year, and there are additional charges for events. For membership, send an e-mail to annequalityart@gmail.com, including name, address, and fax number. A membership packet will be mailed. For additional information, contact Anne Cohen Ruderman, annequalityart@gmail.com. The Glass Alliance of Northern California (GLANC) enables glass enthusiasts, artists, educators, curators and collectors to participate in a range of services and activities. It is an active organization where members visit artists’ studios, private collections, and galleries, go to special event previews, and hear educational lectures. GLANC also publishes a quarterly newsletter and arranges a members’ trip to some spectacular glass destination every year. For further information about GLANC, go to our website www.glancinfo.org or contact President Demetra Theofanous at demetraglass@comcast.net. The Florida group is active November through April each year in the greater Southeast Florida area. The group visits private collections, artists' studios, museum shows and gallery openings. For membership, send check for $50 (couple) or $25 (single) plus name, Florida address and phone, "North" address and phone to Ellen Greenberger, 7701 Glendevon Lane #1905, Delray Beach, FL 33446. For additional information, and to receive e-mail about upcoming dates and times, send your e-mail address to Ellen: ekgreenberger@yahoo.com. The Soutwest Florida Glass Art Alliance covers Tampa down to and including Naples. Dues are $35, payable to the SW Florida Glass Art Alliance. For information, contact Carol Camiener, 941-383-8840, or e-mail carolcam228@gmail.com; or Sue Gleeksman, suegleek@gmail.com. The Midwest Contemporary Glass Art Group (MCGAG), based in the Chicago area, welcomes collectors, artists, gallery personnel, educators, curators, and anyone else with an interest in contemporary art glass. It aims to stimulate interest in this medium and promote awareness of it as a major art form. MCGAG visits artists' studios and local collections, holds lectures, and travels to important glass events and museums. For membership, send a check for $30 (individual) or $50 (family to Midwest Contemporary Glass Art Group (MCGAG) c/o Marshall Weinstein, 1900 Clendenin, Riverwoods, IL 60015. Include name(s), address, phone number, e-mail address, category (collector, artist, educator, other) and whether you would be willing to host the group to see your collection. Visit the MCGAG website at www.midwestcgag.com. For more information, contact Marshall Weinstein at 847-331-5874. The mission of the Indiana Glass Arts Alliance is to foster and share enthusiasm for fine art glass. IGAA is open to experienced and new collectors, artists, gallery owners, educators and other arts organizations. Our goal is to support local artists, glass educational programs, glass events, and the new GLASS COMPLEX being built at the Indianapolis Art Center. If you are interested in joining IGAA or for more information, e-mail Cynthia Thompson at thompsonmeadow@yahoo.com or call (317) 508-1563.. The Michigan Glass Collecting Alliance (MGCA) is interested in supporting artists that use glass as their medium through education, research and promotion. For more information, contact Ray Chimienti at rchimien@ford.com or (734) 667-4493. 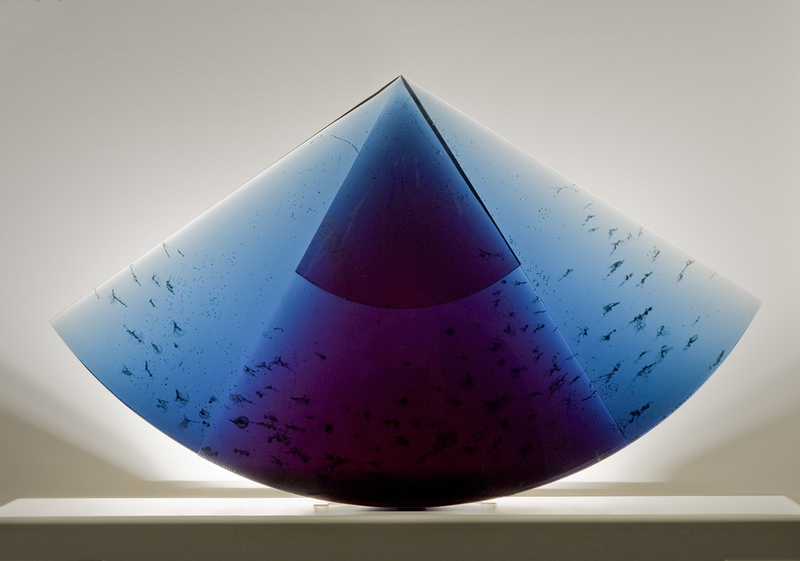 Glass Alliance - New Mexico (GANM) is a regional organization of artists, collectors and galleries who appreciate and promote studio art glass, primarily in New Mexico. Core activities include artist demonstrations, presentations and receptions. Our website (www.glassnm.org) showcases our artist and gallery members, events calendar, very robust Maestro Program and membership details. GANM welcomes members from out of state and sends an emailed, in depth, monthly newsletter so visits can be planned accordingly. For more information, contact Harry Miller (vicepresident@glassnm.org) or Tom Murdock (treasurer@glassnm.org). 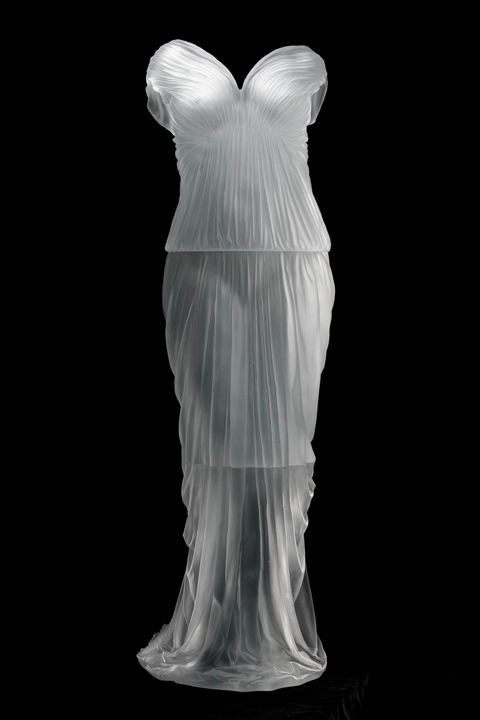 The Metropolitan Contemporary Glass Group (MCGG) is the oldest group of contemporary art glass collectors in the country. Founded in 1983, its members come primarily from the New York Metropolitan area, as well as from several other states. The main focus of the group is sharing the love of contemporary art glass, learning about the creative process and techniques glass artists employ, and socializing with other like-minded members in a warm and welcoming environment. Meetings are held throughout the year in various venues such as art galleries, where an exhibiting artist is often the featured speaker, in members' homes, in museums or regional glass centers. MCGG organizes an annual long-weekend trip. Depending on location, the trips include meetings with artists in their studios, visiting collectors' homes, museum exhibitions and galleries, and dining at great local restaurants. MCGG recently visited Montreal, Santa Fe, New Orleans, Pittsburgh, the Milwaukee area, Norfolk, St. Petersburg, Boston, and Dallas. MCGG donates funds to various glass-related programs, including an annual fellowship to an emerging glass artist for a residency at UrbanGlass. Annual dues are $25-student/artist, $75-individual, $100-dual/family or gallery. For membership information, contact Ralph Lowenbach, treasurer, at lowenbac@ix.netcom.com or 973-763-1171 or Fred Sanders, president, at 212-381-8751 or metrocontempglassgroup@gmail.com. 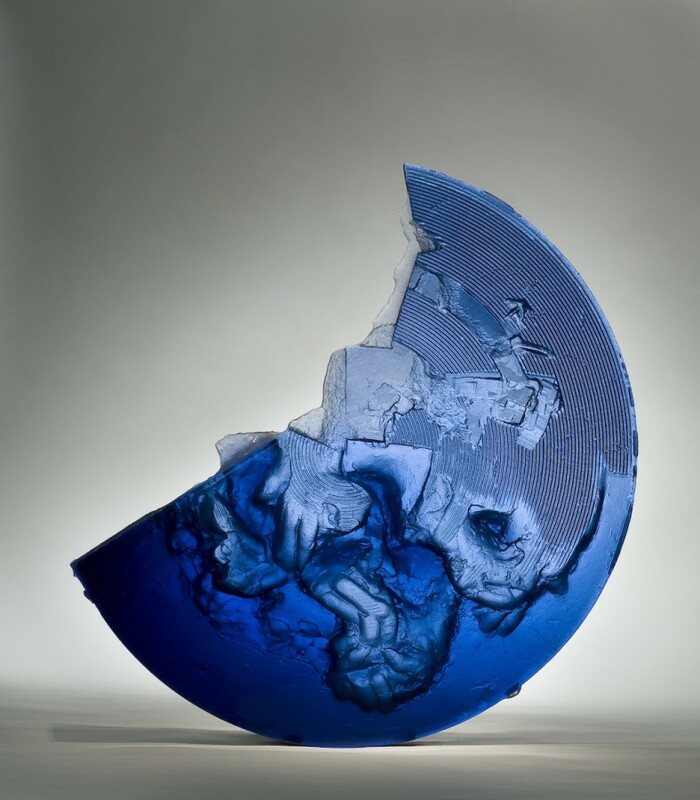 Contemporary Glass Philadelphia (CGP) serves as a forum for collectors, artists, gallery owners, educators, curators and the public to share meaningful experiences through the contemporary glass movement. CGP provides lectures, demonstrations, meetings, shows, trips, and get-togethers while placing a unique emphasis on assisting glass artists as well as educating new and developing collectors. Members receive the newsletter, The Gather. CGP holds five to six events per year. Through fundraising events, CGP gives grants to local artists and organizations. Dues are $25/students, $35/individuals, $65/families, $250/benefactors. For more information, contact Sheldon Bernick at sbernick@comcast.net or 215-235-4242. Membership is $45 per person. A membership application and additional information can be found on the group's website: www.gulfcoastglassalliance.com. For other information, contact Ardis Bartle at ardisbartle@earthlink.net or 713-446-1902.